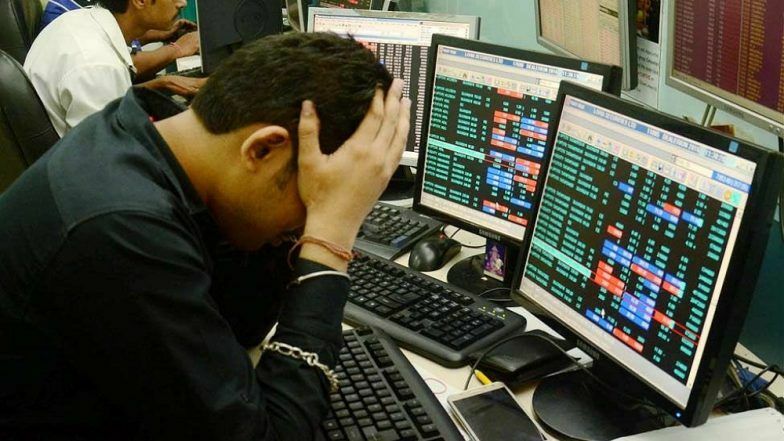 Mumbai, March 25: In line with most Asian markets, Sensex and Nifty declined further on Monday owing to weak manufacturing data from the US and Europe, fuelling fresh concerns of global growth slowdown. Besides, the investor sentiments also took a beating over uncertainity around Brexit and initial weakness in the rupee. Except for oil and gas and power stocks, all the sectoral stocks logged steep fall. Among the top losers on the BSE were Vedanta, HDFC, Kotak Mahindra Bank, Sun Phrama and ICICI Bank. The gainers were Power Grid, NTPC, ONGC, Coal India and Bajaj Finance.